It’s been a turbulent week inside and outside Leinster House. 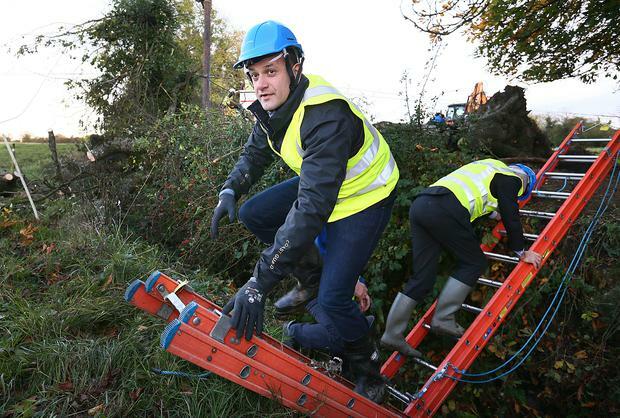 In an unusual development the Government found itself being praised from all sides for the response to Hurricane Ophelia. Today’s Floating Voter, hosted by INM’s Group Political Editor Kevin Doyle, discusses Leo Varadkar’s momentary status as ‘Commander in Chief’. Meanwhile back in Leinster House the problems are stacking up for the Taoiseach. Political Correspondents Niall O’Connor and Philip Ryan discuss whether the banks have anything to fear from the treat of a dressing down from Paschal Donohoe over the tracker mortgage scandal. The team give their insights on the Fianna Fáil Ard Fheis last weekend which was dominated by talk of the Eighth Amendment and Sinn Féin. And the Floating Voter asks where exactly does Gerry Adams buy his €30 bottles of wine.